Birthday parties are about the KIDS! It’s their special day, and it only comes once a year! So how better to get an understanding of the Goldfish Swim School Birthday party experience than to interview the KIDS!!!! 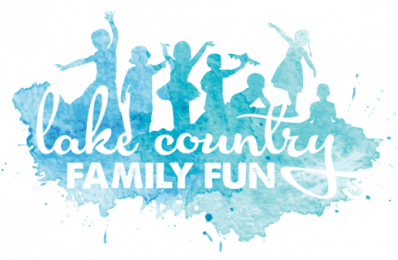 Lake Country Family Fun was provided a birthday party in exchange for an honest review. 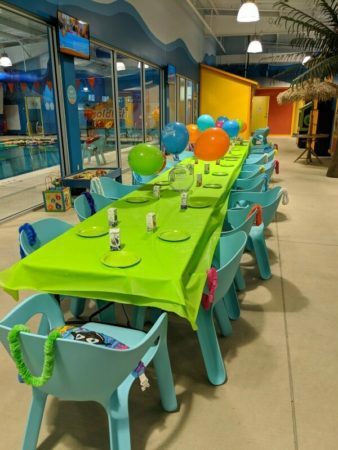 Stephanie, team member, represented Lake Country Family Fun and celebrated her sons’ 6th and 4th birthdays in one party (since their birthdays are a day apart in May)! Quinton – Turned 6 on May 14th. Loves animals, swimming, gymnastics and is very social. He loves to please and is very kind. Currently he is into Pokémon and animals. He loves the zoo and being outside. Brooks – Turned 4 on May 15th. Loves trains, railroad crossings and train tracks. He is such a big sweetheart and truly loving and kind. He loves his big brother and adores his little sister. He is growing up so fast. The boys birthdays are exactly 2 years and 1 day apart! You can read about their adoption stories here and here. What are you most excited for about your Birthday Party at Goldfish Swim School? Q: Seeing all of my friends and swimming! B: The train table and playing in the water with my friends. What has Mommy done so far to get ready for this party? Q: I don’t know. Nothing? Do you mind sharing your friends’ party with your brother? Q: Well, I don’t wish we were sharing our birthday party, but he’s my brother so it’s ok! What is your favorite part about the Goldfish building? Q: I like the pool and the fish tank! I like the hairdryers too. B: The Train Table and the duck mats and all the toys we got to play with in the water. Are you and all of your friends having fun? Q: Yes, Mom. It’s a blast. Can we swim all day? I like the music. [We got to choose the Pandora station and rocked some Kids Bop.] Can I keep jumping in? Watch me, Mom! B: Yes [he says as his little girl friend is pulling him all around the pool while he sits on the duck raft floatie]. What is mommy doing today? Q: She’s doing good. I think she has coffee. And Mama came in the pool for a while. B: She came in the pool with us to swim and chased me like a shark. She like it here. Q: My favorite part is when we were playing with friends in the pool and oh, no my favorite part was after the swim when I was dancing the hula with one of the lifeguards to the music! B: Eating muffins, I mean cupcakes. Swimming in the pool too. I have Goldfish party next week? 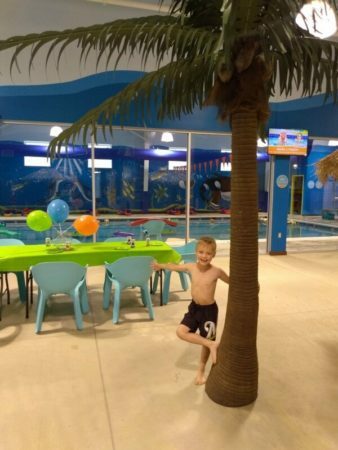 Why do you think someone should have their birthday party at Goldfish Swim School? Q: Because if they don’t have room in their house, they can have it at Goldfish and there is tons of room. Because it’s fun there, duh! B: I know [he says excitedly] Because there’s swim. And is fun! How much fun did Mommy have? Q: A lot because she got to do fun stuff with us. B: A lot and she said we were good. You heard it from the boys. It was a great time for them, and they will remember it forever. And they noticed their mom was not stressed about the party, rather engaging and involved with their day. 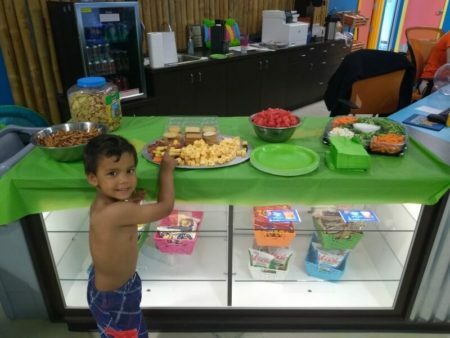 I thank Goldfish Swim School for throwing a great party for the boys and highly recommend their venue (and staff) to throw an awesome party for your child. I knew the party would make my life easy, but they went above and beyond. Megan was our party organizer, and she just rocked it! She even asked for my keys and loaded all the gifts in my car. And she packed up my food and washed out my serving plates- um WOW! The lifeguards could have sat and stared at the kids, instead when we were in the party area, they were dancing with the kids (hula with Quinton, ha!) and playing with the balloons with them. They were so sweet and engaging (and helpful). A lot of the parents were surprised that we had the whole place to ourselves and that really impressed them. I certainly loved that we had the place to ourselves. (No worrying about who is with our party and not and who I need to keep track of.) Many had never seen Goldfish Swim School, and they were in LOVE with the facility! A Party of 24 kids or less includes 2 lifeguards. More kids require more lifeguards. There are swim tests for those who want to swim without vest (we had a few kids who did). They are super cute & easy to fill out. There is a waiver on back as well as directions. Cupcakes and beverages (juice boxes) are included. You can bring in food for the party as well. We brought in snack-y items since our party was in the afternoon. Tropical Decorations are included (each kid receives a lei). Plates, napkins, silverware are included (we chose green). Set up and clean up is included – Woohoo! Private access to facility during party (2 hour window). Birthday phone call the week of the event to ensure that all is ready for your party! Find them in our Birthday Party Guide!! !